We are moving right along on our federal grant funded by the Office for Victims of Crimes. One of the products we are most excited about are the peer-to-peer outreach videos for original crime victims. These peer-to-peer videos will not only be used to reach and assist unserved original victims, they will help raise public awareness about the experiences and needs of original victims in these cases and to correct false narratives that cause them greater trauma. Our project partner Video/Action is taking leading the creation of these important videos. Video/Action is an award-winning video production organization with an expert team. Read more on our project partners and how the peer outreach videos will be implemented. CPB Gold Award for Excellence in Documentary Television Programming, Audience Choice for Best Documentary, the Chris Award for Best in Humanities, four local Emmy Awards and dozens of CINE Golden Eagles, Telly Awards, Auroras, Gold Apples (from the National Education Media Network), and Omni Awards. ABC, CBS, NBC, CNN, BET, FOX, and TRU TV. Their important work is lead by the President and Founder Robin Smith and Producer, Andrea Palombella. Robin Smith, President and Founder of Video/Action, Inc., is an Emmy Award-winning producer with 40 years of experience developing documentary films, training videos, special event presentations, and public service announcements. She received a Master of Science in Documentary Filmmaking from Boston University (1978), has been recognized for excellence by multiple professional organizations. She is highly regarded as a creative filmmaker with a consummate understanding of best practices needed to design, produce, and disseminate media in strategic public awareness campaigns. Andrea Palombella is an award-winning producer with a Bachelor of Arts in International Film and Media Production from Loyola University Chicago and ten years of experience as a creative professional working with corporate and nonprofit clients on production strategies from concept development to targeted marketing campaigns. She has been with Video/Action for six years and distinguished herself as an excellent lead producer on three high-profile, multipart video projects for the Office for Victims of Crime. A senior member of the production team. Ms. Palombella will write cutting scripts, assemble string outs, oversee the editing of rough cuts, actively participate in peer reviews and the incorporation of feedback into final cuts, and coordinate post production activities to ensure delivery of final products. We’re receiving tremendous support from Video/Action to create the peer-to-peer support outreach videos. 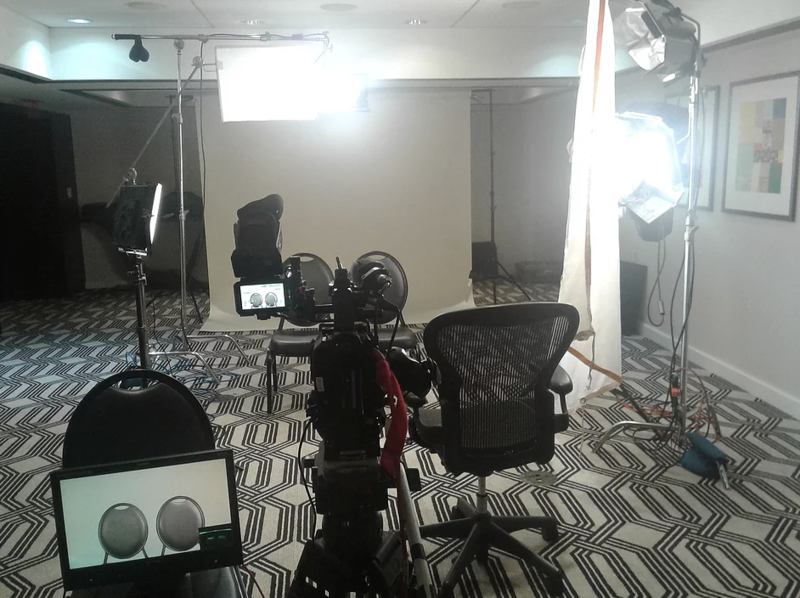 In May, they collected documentary video of the personal stories and insights from eleven original victims from across the country. These stories will inform the development of guiding policies and practices for both criminal justice practitioners and the media, as well as the content of outreach videos produced. Their stories will also be packaged into a set of peer-to-peer outreach videos aimed at normalizing the experiences of original victims, providing them with peer interaction and support, alerting them of their post-conviction rights, and engaging them in seeking assistance.